A consumer credit report (CR) is a document that contains factual records of an individual's credit payment history. It is mainly used to judge his/her credit worthiness by lenders. The CR not only lists basic information such as your name and social security number, but other information pertaining to your credit, especially your borrowing and repaying habits. This information is collected and compiled independently by major credit bureaus such as Equifax, TRW-Experian and Trans Union. Basically, the credit report shows how you treat credit and your relationships with creditors. As people pay their bills, most lenders report credit payment history information to credit bureaus. Your credit will determine what you can buy, what type of car you drive, and even where you can live. It is important to maintain the best credit report possible. Each person should check his or her credit report and make sure it is correct. Your full name, nicknames, birth date, social security number, and current and previous addresses and employers. This information comes from any credit application you have completed. Any relevant court records, such as legal judgments, tax liens, bankruptcies, or, in some states, overdue child support. This information comes from public records. 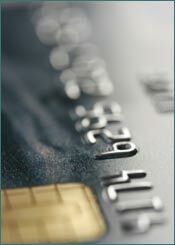 Bankruptcies can remain on your credit report for up to 10 years. Other public record information can remain for up to 7 years. A snapshot of your past actions. The credit report lists all loans and credit lines in your name from recent years. Credit reports vary from bureau to bureau, but generally they show the type of loan, the date you began the loan or opened the credit line, the amount of the loan or credit limit, the amount you still owe, and your payment pattern. For example, the credit report may list the number of times you've paid late, including the times you were more than 30, 60, and 90 days late. This information comes from companies that do business with you. The Fair Credit Reporting Act (FCRA) requires each of the nationwide consumer reporting companies — Equifax, Experian, and TransUnion — to provide you with a free copy of your credit report, at your request, once every 12 months. The FCRA promotes the accuracy and privacy of information in the files of the nation's consumer reporting companies. The Federal Trade Commission (FTC), the nation's consumer protection agency, enforces the FCRA with respect to consumer reporting companies. More info. To order, visit annualcreditreport.com, call 1-877-322-8228, or complete the Annual Credit Report Request Form and mail it to: Annual Credit Report Request Service, P.O. Box 105281, Atlanta, GA 30348-5281. The form is on the back of this brochure; or you can print it from ftc.gov/credit. Do not contact the three nationwide consumer reporting companies individually. They only provide free annual credit reports through annualcreditreport.com, 1-877-322-8228, and Annual Credit Report Request Service, P.O. Box 105281, Atlanta, GA 30348-5281.